Happy Literary Friday, My Lovelies! 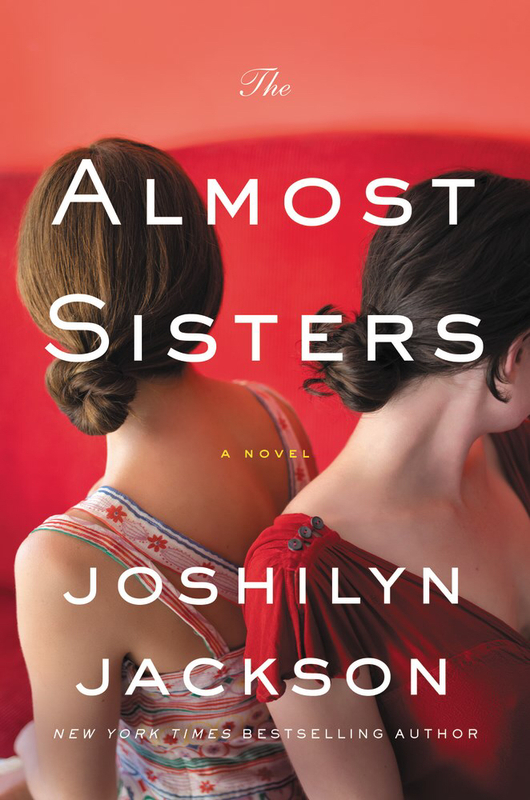 I read the most delightful book this week: The Almost Sisters by Joshilyn Jackson. I know it will definitely make my "Best of 2017" list (which usually only consists of three books). It is laugh out loud funny and poignant at the same time. You must place it on your To Be Read List immediately! I love everything about this book. I'll start with the setting: Tallapoosa County, Alabama, near the shores of Lake Martin. I read this book in Tallapoosa county (Dadeville, to be exact) on the shores of Lake Martin (we have a lake cabin there). Leia spent all of her summers with her grandmother in the fictitious town of Birchville, so the residents of said town consider Leia one of their own; they show no compunction at alerting Leia to her grandmother's "Late Unpleasantness" (or breakdown) at the Baptist Church's annual fish fry. This scene is one of the funniest in all of Southern fiction: I was laughing so hard I couldn't breathe. Leia's phone starts blowing-up about her grandmother while she's at her stepsister Rachel's house during what was supposed to be her family's weekly Sunday lunch. Rachel had canceled lunch due to a knock-down drag-out fight with her husband, but Leia missed Rachel's message about the cancellation. Take charge Rachel helps Leia make travel arrangements to Alabama, and she insists Leia take her thirteen year old daughter Lavender with her. "The South I'd been born into was all sweet tea and decency and Jesus, and it was a real, true place. I had grown up inside it, because my family was there. Wattie's family owned real estate there, too. The Second South was always present, though, and in it decency was a thin, green cover over the rancid soil of our dark history. They were both always present, both truly present in every square inch, in every space, in both Baptist churches, at both tables." The Almost Sisters, page 222. Disclosure: I received an ARC of The Almost Sisters from the publisher William Morrow in exchange for a fair and honest review. I read this last weekend, and I adored it! Of course, I love all Jackson's books, but this was by far the best. She has such a great ear for language and is such a keen observer of human nature. I am ordering it from the library today!! :-) I am reading Vintage a Novel, by Susan Gloss. It takes place in Madison Wisconsin. So I can relate with much of the Wisconsin in the story, I like that. With your review and then Ellen's comment I know I have to read this book. I think we can appreciate this type story since we are southern. Enjoyed your review. Have a wonderful weekend. Oh, are you going to the big sale in Mountain Brook tomorrow? Can't wait, thanks Ricki Jill!